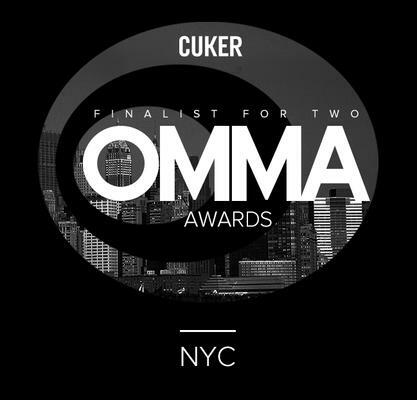 Cuker is honored to be named a two-time finalist in Web Site Excellence at the 2013 Online Media, Marketing and Advertising (OMMA) Awards. Celebrating the industry’s most innovative and creative work, the OMMA Awards serve to identify “the best campaigns in the business.” Both the Quiksilver blog and LittleGiraffe.com have been recognized by the OMMA Awards as noteworthy in the online creative realm. Action sports brand Quiksilver teamed up with Cuker’s design and development teams to perform a complete brand overhaul on their blog, The Mountain and the Wave. Cuker propelled Quiksilver into the future online media with a completely redesigned, fully responsive blog, delivering a cohesive brand experience to their community across any device. By integrating a progressive layout and design, Cuker was able to deliver an innovative responsive user experience. Cuker also had the opportunity to partner with luxury children’s apparel brand Little Giraffe in order to implement a complete redesign of the website LittleGiraffe.com. The new Little Giraffe site features advanced eCommerce and marketing features such as a customer loyalty program, referral program, gift guides and lookbooks. Cuker also launched a mobile site for Little Giraffe, offering mobile users an optimized shopping experience with intuitive navigation and streamlined checkout process. This marks the third consecutive year that Cuker has been selected as an OMMA finalist in the Retail category. In 2012, the full-service digital agency was recognized for their work with Little Giraffe, as well as Dunlop Motorcycle in the Automotive category. In 2011, Cuker was honored for Manduka.com, a brand-centric eCommerce website built for the high-performance yoga brand Manduka.